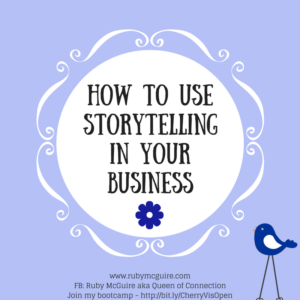 Just How Much Of Your Story Should You Share In Biz? 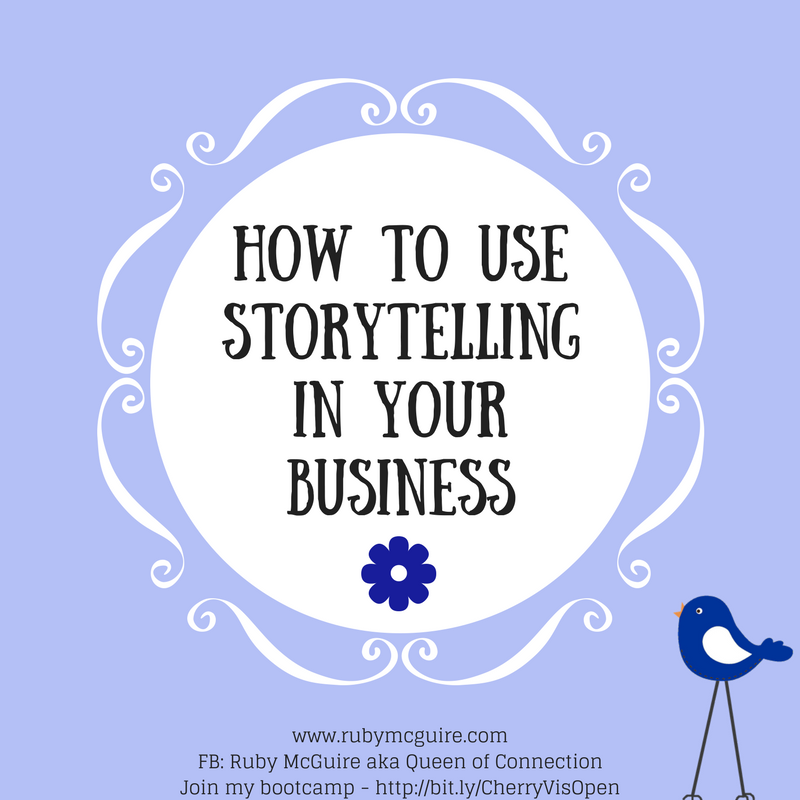 In this blog post, I’m talking about just how much of your story you should share when you’re being visible in your biz, and sharing 3 top tips for you to think about when sharing your personal stories. 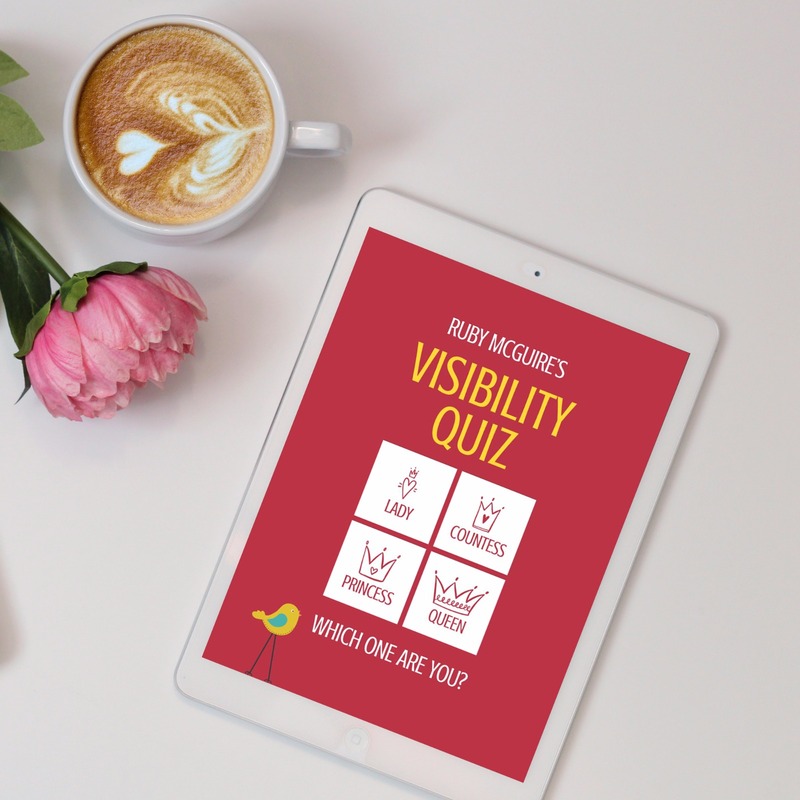 As I work with clients on being visible in business I get asked this question a lot! 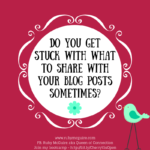 There’s a fine balance between sharing insights into you that will help people to get to know you better, and going all out sharing everything. You want to engage with your ideal clients, but you don’t want to scare them off with a War & Peace on your doom and gloom! 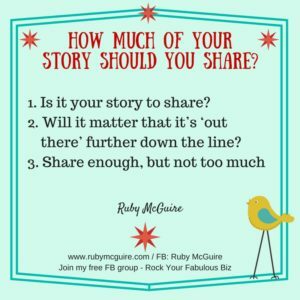 So just how much of your story should you share? Here’s my two pennies worth on it. I’ve got 3 things for you to think about. 1. 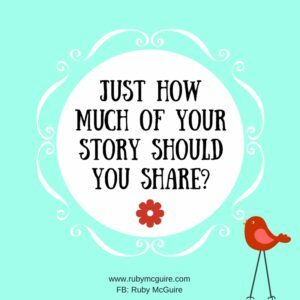 Is it your story to share? What I mean here, is if it’s your own story and others aren’t involved, that’s okay, but like my podcast/blog last week I’ve shared some stuff about my hubby, so I asked his permission first. I do the same with my daughter, friends, clients etc. Poor Natasha (my 16-year-old) is quite often the inspiration for my writing. She’s threatened starting to charge me! Loving that entrepreneurial spirit at such an early stage. Nice try darling!! 2. Will it matter that it’s ‘out there’ further down the line? We might want to write in the spur of the moment, but you need to consider with that whole internet world out there how you’d feel if someone came across it in six months, one year, five years down the line. You might feel fine writing about your long lasting depression now, but what about when you’re through the other side. Would you still feel the same way about it? 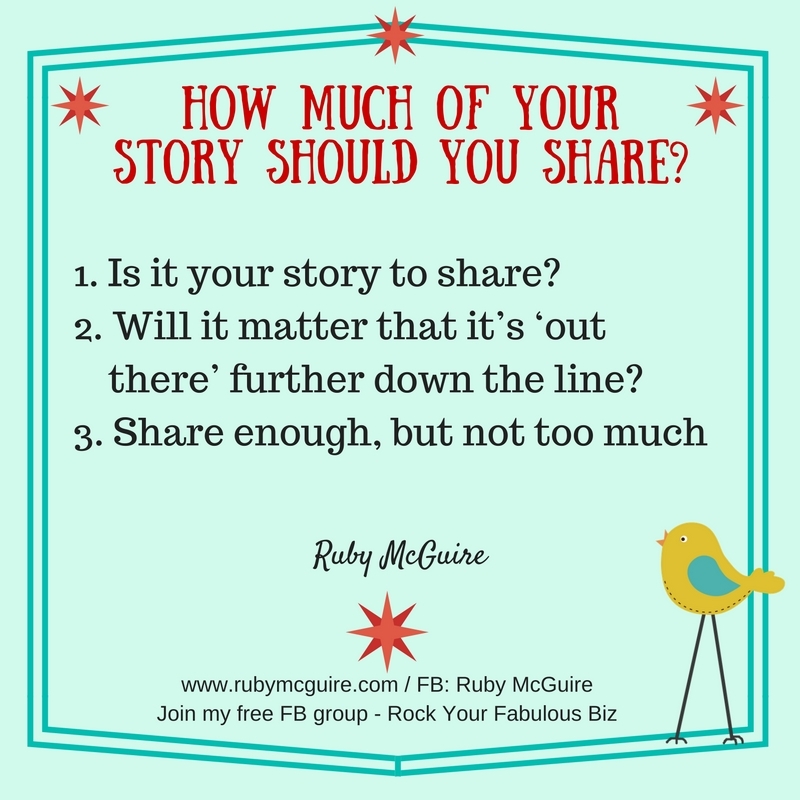 Just apply the time test to what you share, it can really help. 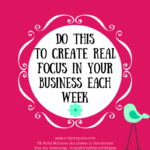 This is the conundrum that gets a lot of my clients stuck. 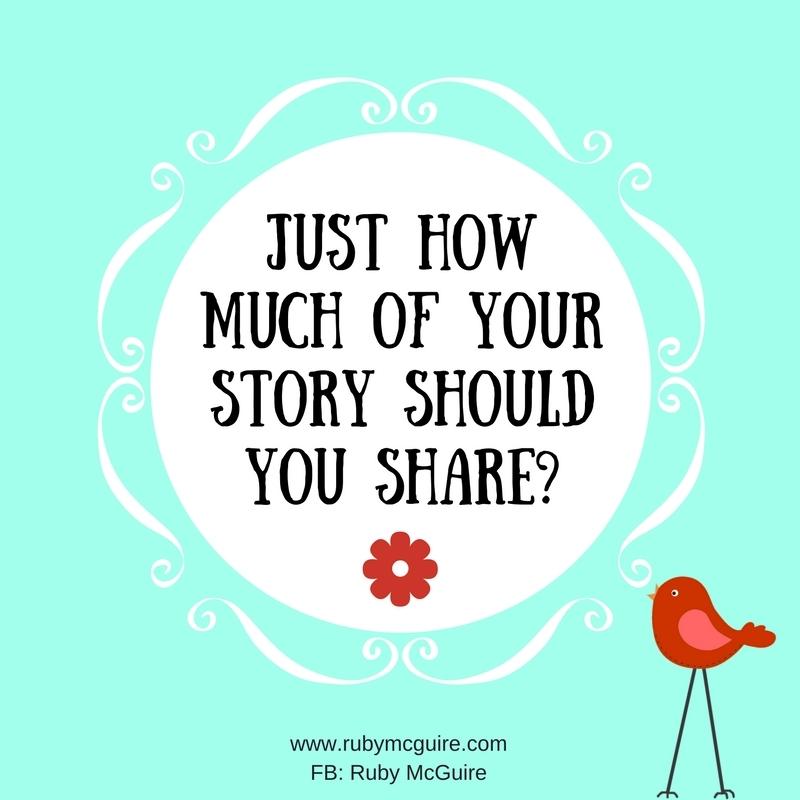 You don’t have to share everything about yourself. 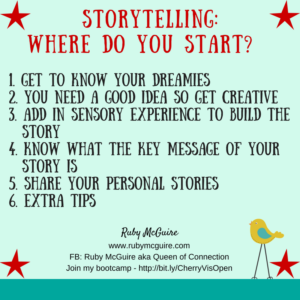 The main reason I love story telling type posts is they help you to connect. I never really used to share much about me, but I realised that people need to hear it. 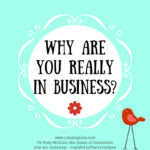 They want to know that you have challenges as a business owner, that it’s not all a bed of roses. They want to know that you make mistakes. They want to know that you’re juggling all sorts of other things in life, like family, friends and the practical day-to-day things too. 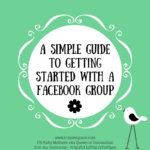 Think of it like a conversation when you meet a friend in town or over a coffee. 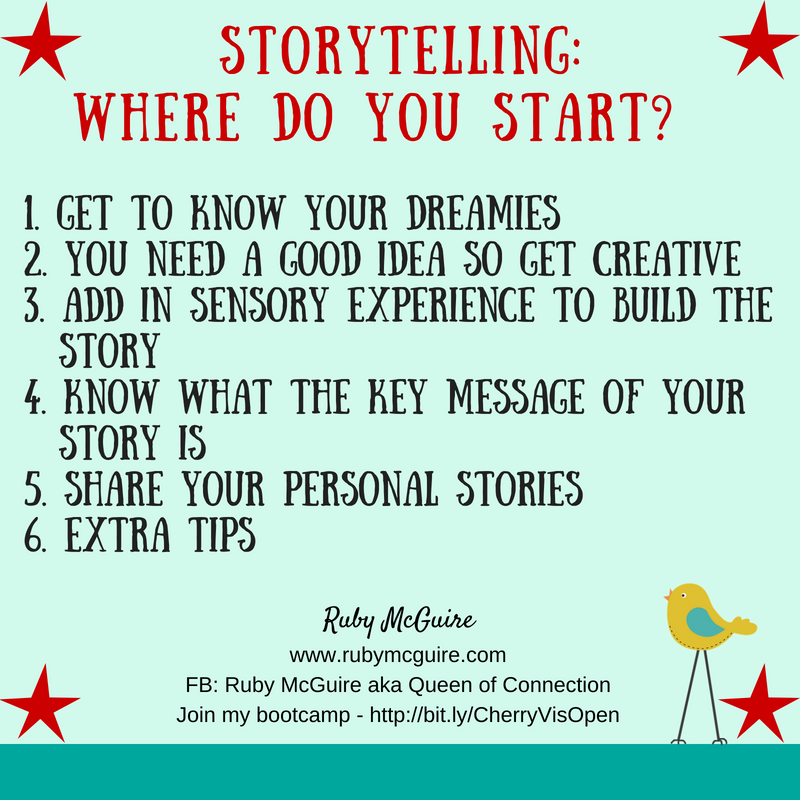 Would you spend loads of time bombarding them with your story or would you have a two-way conversation? Now, of course, it depends on the type of friendship because if it’s your bestie then maybe you would bombard and get it off your chest and they’d be the therapist to help you sort it out, but mostly it would be a two-way conversation, especially if it was someone you’d bumped into while you’re out and about. 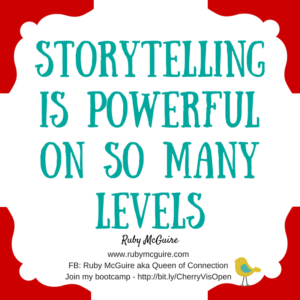 The same applies to when you’re sharing your story. They don’t need to know every single thought you’ve been through, every single challenge, you don’t need to talk them through each step so vividly that they feel like they have been there with you. 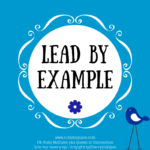 Don’t drag them down, but what you can do is give the headlines of what’s been going on for you, what you’ve learned from those challenges, what action it made you take, or reframe it helped you with. 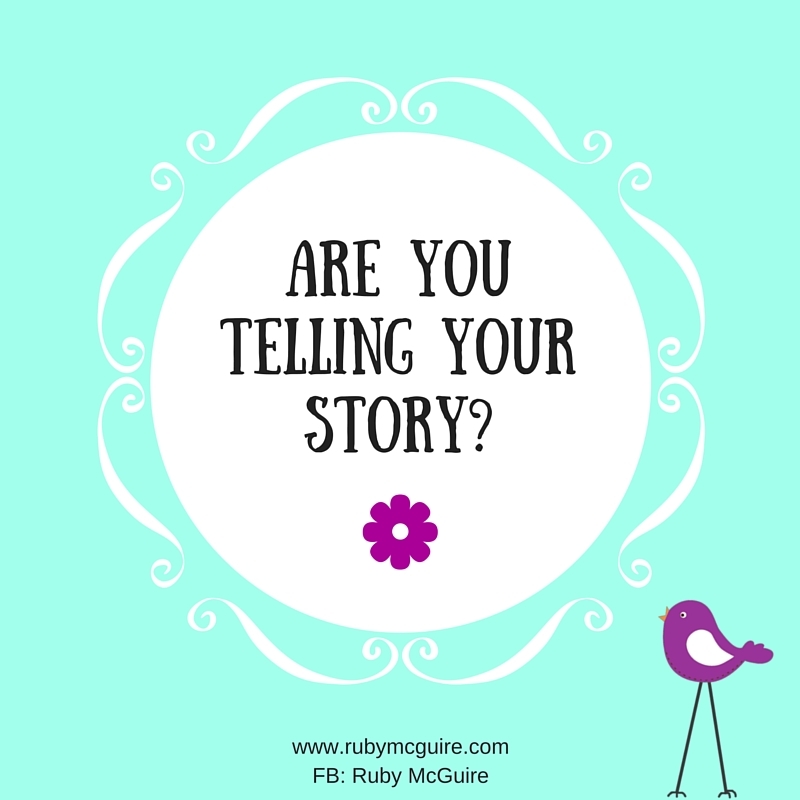 So rather than it being all about you, think about how you can relate your story to them all the way through, or at least at the very end. 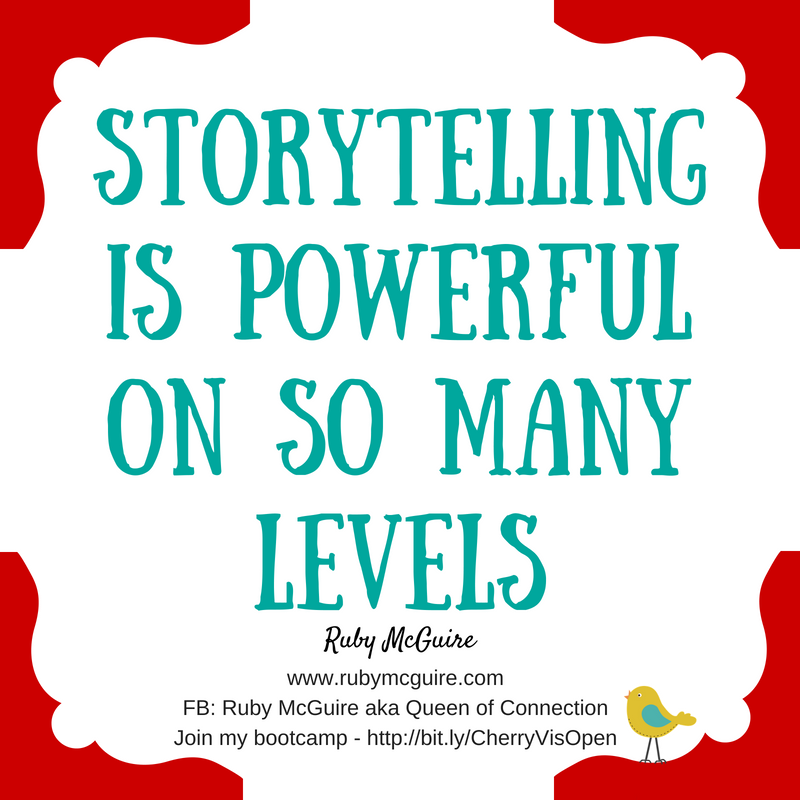 Turn it back to them so that your story can help them see a different perspective, learn something or take some kind of action. 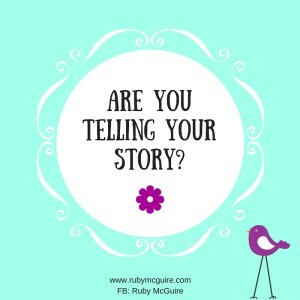 This week’s call to action: Spend some time writing out your story and then pull out headlines that you could share to connect better with your ideal clients.